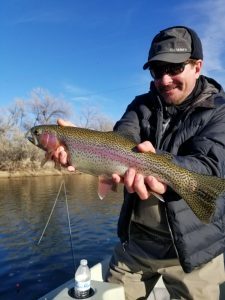 Lander, Dubois, Thermopolis & Fontenelle Fishing Guides Wyoming: Dunoir Fishing Adventures is a fourth generation Wyoming owned and operated business guiding anglers on some of Wyoming’s finest trout waters in the state. Our guide service prides itself in guiding anglers on the Bighorn River, Green River, Popo Agie, and Wind River. Let our local guides show you the hidden gems of Wyoming’s finest fly fishing trips there are to experience . Join our professional Orvis Endorsed Fly-Fishing Guide Service for a fishing trip of a lifetime. Keep posted for fishing reports to come on the Bighorn , Green and Wind Rivers. Bighorn River Clean Up in Thermopolis is scheduled for this next Sunday (February 18th) starting at 9 am. There will be a lot of boats on the water, so it may not be the best day to plan a fishing trip. Come on out and help keep the Bighorn River beautiful. 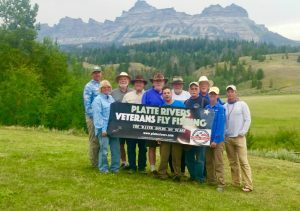 BIG NEWS & Wyoming Fishing Report: Dunoir Fishing Adventures has recently formed a partnership with Orvis as an “Orvis Endorsed Fly-Fishing Guide Service.” Our hard work on the water is paying off, and some of our friends thought we would be a good match for this partnership. We strive to provide the best service that we can on the water. We believe that Orvis will be a good fit and partner for our philosophy. To see our information on the Orvis website please click HERE. 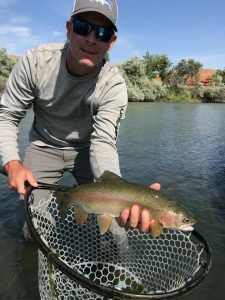 Current Fishing Report: Our guides have been extremely busy with guests this fall on the Wind River, Bighorn River, and taking clients to the different streams in Dubois, Wyoming. The Bighorn River has drastically dropped water flows to roughly 900 cfs (down from 9000 cfs earlier this year). Fall has reached Wyoming with cooler temperatures and our first snow up in the high country. Fishing is very good right now and the weather is perfect. We will put out a more detailed report in the next day or two. Keep posted.